You may have noticed that we here at Who What Wear love denim. Skinny jeans? Yes, please. Same goes for too-cute kick flares. But, there's one jean style especially caught our eye this season, mostly because we've seen it just about everywhere. 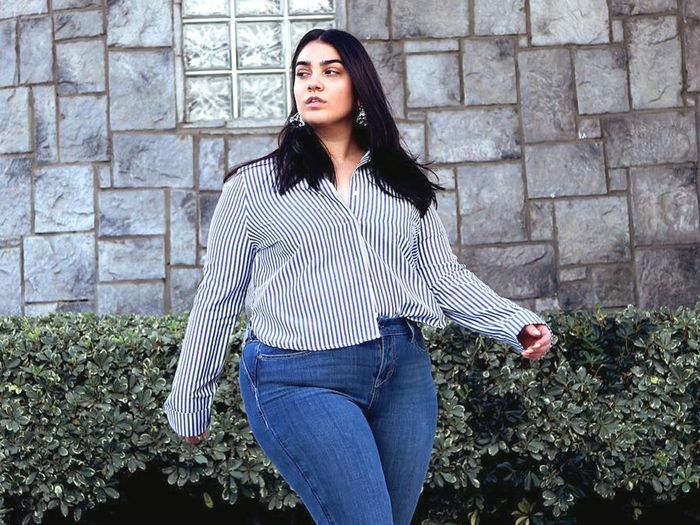 Meet step-hem jeans, jeans with raw hems that are shorter in the front and longer in the back. The look is a continuation of the Vetements-led DIY-inspired movement we've seen sweep fashion in the past few seasons. We're particularly infatuated with this look for fall because it feels un-fussy but still fashionable and fresh. Pair it with a white button-down and heels to take things up a notch, or swap in a tee to keep things casual. And while we've all been busy shopping the trend, if you've got an old pair of jeans hanging around, feel free to re-create the look at home, without spending a dime (win!). However you decide to give the trend a spin, know that you can't go wrong with a step hem. Read on to shop our favorite takes on the trend! Simple, chic, and easy to style. A polished spin on the trend. For those daring to try something a bit flared. Pair with slides for a chic off-duty look. An affordable take on the trend. Black jeans will always be in style. Kendall and Gigi would approve of these jeans. 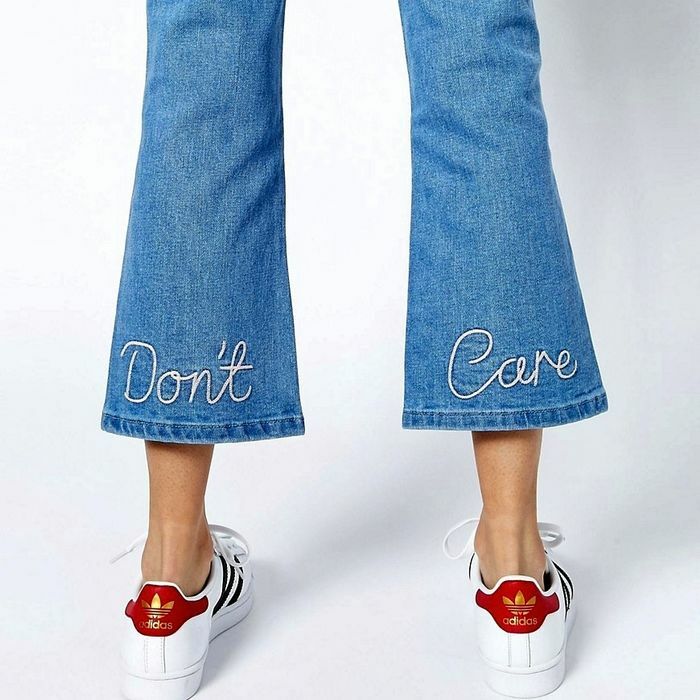 All the coolest girls will go for these jeans. Just the right amount of relaxed. Distressed details make this pair unique. Under-$100 jeans you'll wear all season long. Topshop fans need to pick these up ASAP. 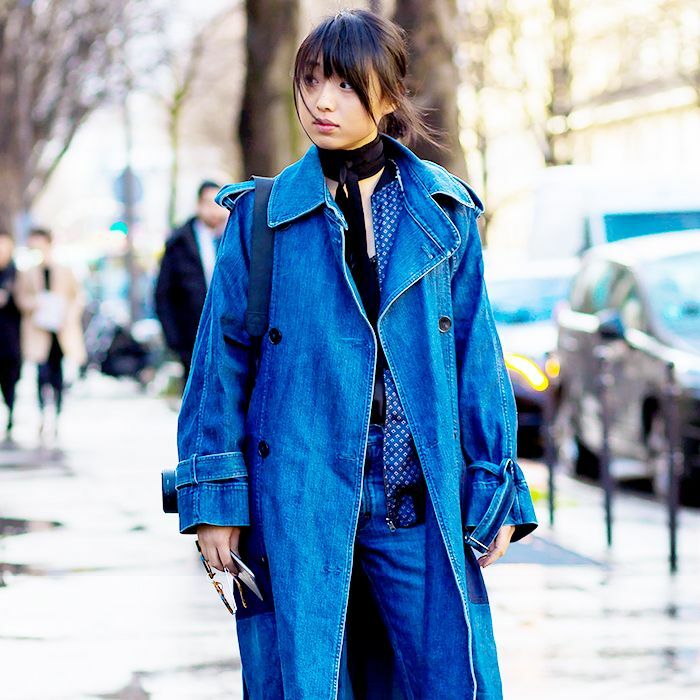 Trendsetting Vetements makes this DIY style look high fashion. Want more denim advice? Here's how to wear skinny jeans in 2016!